Do you want to create a home for your family that is both fresh and timeless, with quality that will stand the test of time? Have you become overwhelmed and frustrated by decorating fits and starts that have failed? How much cash and time have you already wasted? I believe that a home should be as unique and full of personality as the family that lives in it. But that kind of character & quality doesn’t come from a catalog. If you’re strapped for time and style-confused, but want to decorate your home with the fresh style and quality that will stand test of time, then let’s make it happen! Together, we’ll solidify and elevate your unique aesthetic and make an actionable plan that balances beautiful style and quality you won’t find from a catalog retailer. The result will be the warm and welcoming “Forever Home” that you’ve always wanted, one that is both fresh and timeless, the backdrop for your family’s memories in the making! Having trained under some of the Boston area’s top designers, Amy employs a singular mix of classic, transitional, and antique pieces and infuses them with color and pattern to meet the needs and style of every individual client. Home Glow Design’s work has been published in Old House Journal, New Hampshire Magazine, Chairish.com, North Shore Magazine Online, Around Concord Magazine, and has been twice selected as the “Room of the Day” by HOUZZ.COM. Home Glow’s “Saturday Blog” logs more than 10,000 readers every month. In her previous professional life, Amy worked as an executive in national and international public relations for healthcare and musical arts clients, all the while maintaining a secondary career as a professional classical mezzo-soprano. But, after deciding to stay at home and raise her two sons, she found herself continually seeking a creative outlet, most often focusing on redoing the homes she and her husband bought as they followed his career. 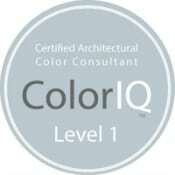 A respected interior designer thought she had an “eye” and recommended that she get her architectural color certification, and Home Glow Design was born. 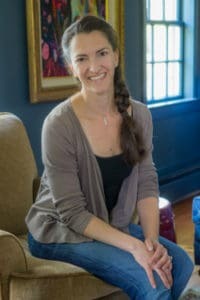 She lives in Hopkinton, NH with her husband, two boys, dog, and some irascible chickens. She is an alumna of Dartmouth College and the Manhattan School of Music.